After several years of effort on behalf of Richard Scott, The Grand Theatre director and interim Dean of Arts and Communication, The Sundance Film Festival has partnered with Salt Lake Community College as a venue. The Film Festival will partially take place on the South City Campus in The Grand Theatre. The Sundance Film Festival, which was founded in 1981 by Robert Redford, began in Utah with the hope of attracting more filmmakers to the area. Since its beginning, the festival has brought more than 200 films into the state, which brings a lot of foot traffic from movie buffs and celebrities alike. This year SLCC students may share the hallways with recognizable actors. This year SLCC will be the second largest venue to offer screenings, with 1,100 seats in The Grand Theatre. 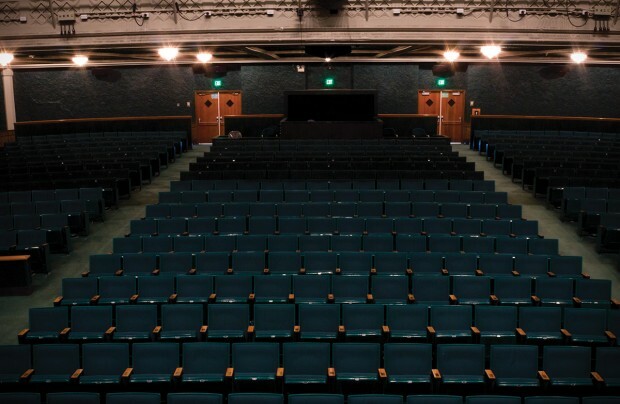 The Eccles Theatre has 1,270 seats and is located in Park City. The Grand Theater will provide more than 20,000 additional seats to the festival during its 11-day duration. This year the festival will be held from Jan. 22 through Feb. 1. For those who are interested in viewing a film at The Grand Theatre there will be a list of movies specific to the venue through the Sundance website and also available through the film guide that will be distributed during the festival. The festival will be selling Grand Passes, which will grant all access to screenings at The Grand Theatre. A listing of box office hours and locations are also available through the Sundance Film website.